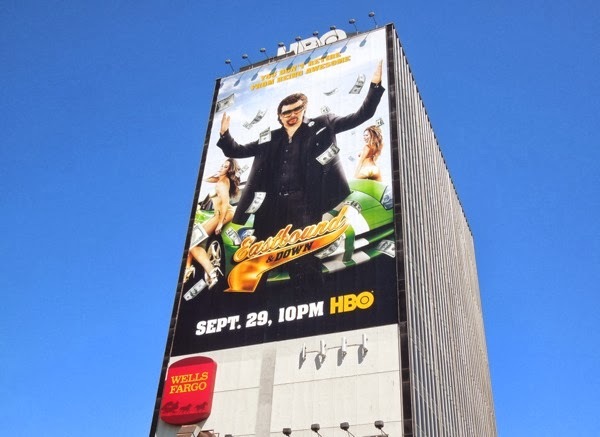 Danny McBride is back as 'Kenny Powers' and blinged up for a fourth season of Eastbound & Down. But wait, didn't the season three finale suggest that the former major league ballplayer was leaving baseball behind to be with his family. 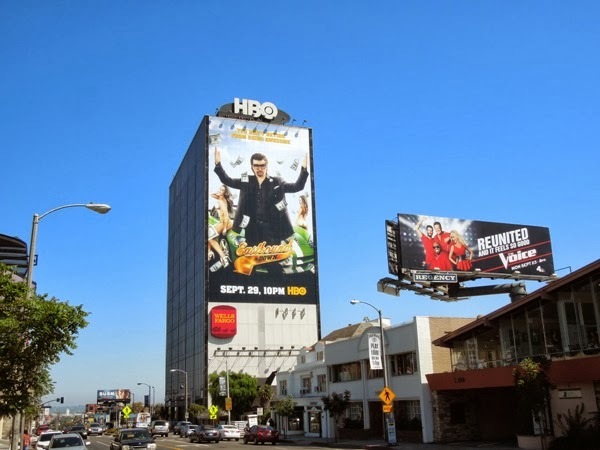 After a surprise renewal Kenny is back for a final season (for real this time) and being married and living in the suburbs with a normal job is not for him, so to escape his miserable existence, he embarks on another quest for fame and fortune. 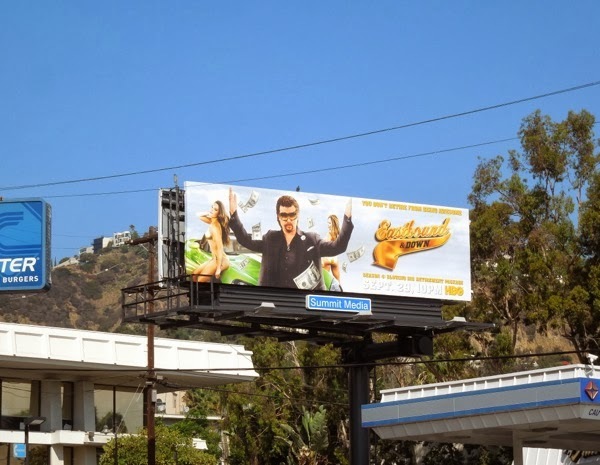 And by the looks of these season four billboards there's plenty of money, fast cars and beautiful women to be had. 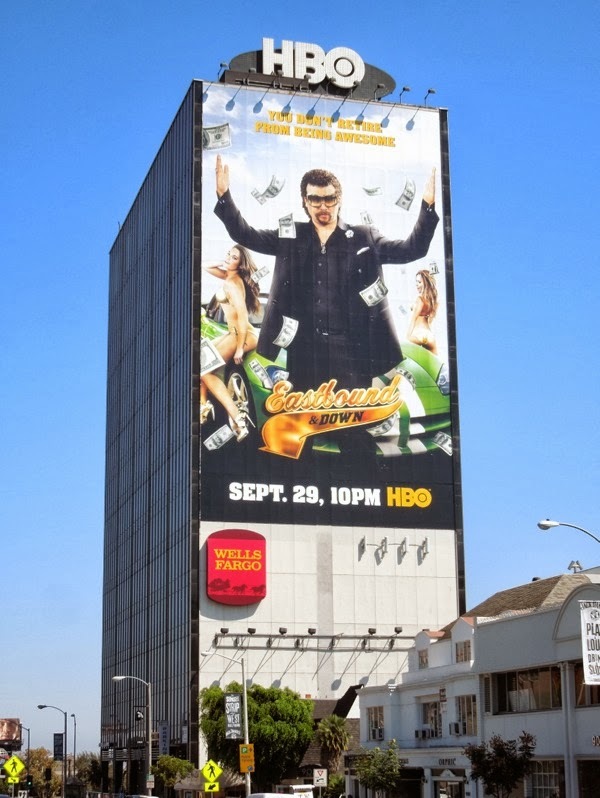 The giant-sized ad creative for Eastbound & Down was spied towering over L.A.'s Sunset Strip, whilst the standard landscape billboards were snapped along Melrose Avenue and Sunset Boulevard on September 12, 2013. 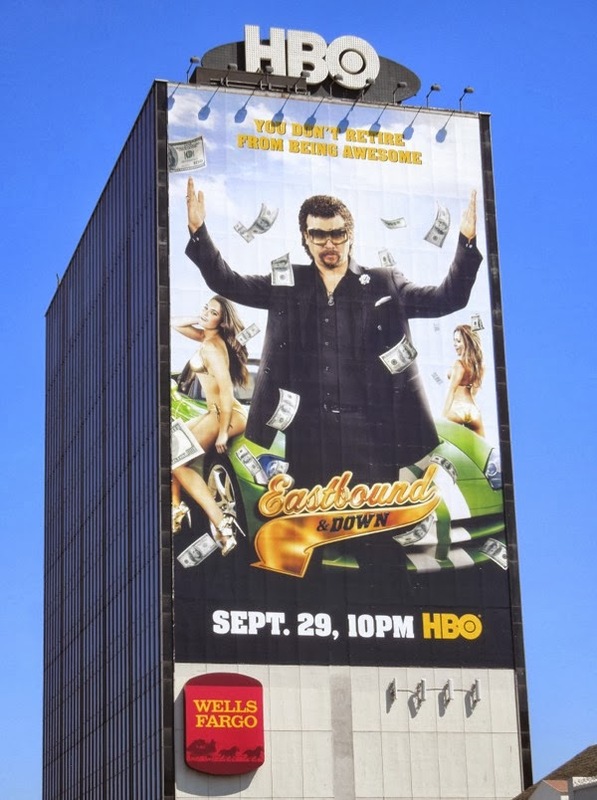 If you're a fan of the show, be sure to check out these Eastbound & Down season three billboards from February 2012, plus also take a look at Danny McBride in these movie billboards for This is the End from earlier this year. Never forget 'You don't retire from being awesome'. Wise words indeed. And that's it for our first ever TV FORTNIGHT. 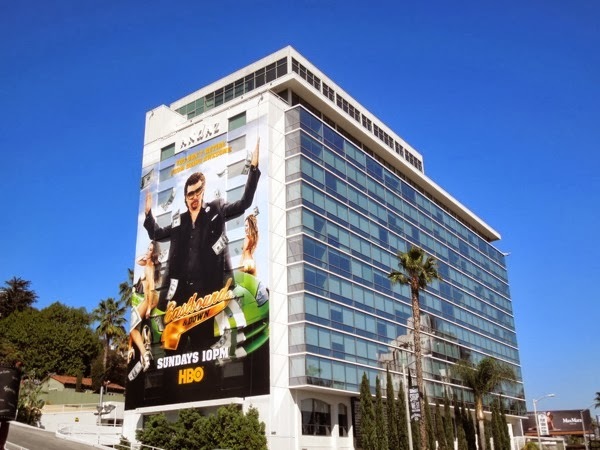 Stay tuned for even more new television show ad creatives to come, but expect more of the usual eclectic mix of billboards in the coming week. 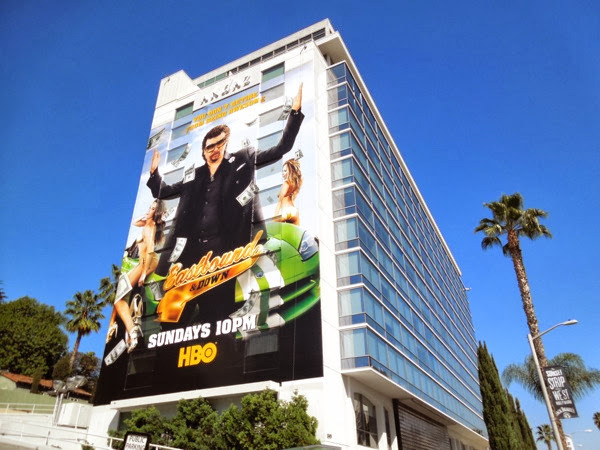 UPDATED: Now that 'Kenny Powers' has made his big entrance along the Sunset Strip, he's swapped ad locations with HBO's new comedy Hello Ladies for a new super-sized billboard on the side of the Andaz Hotel. 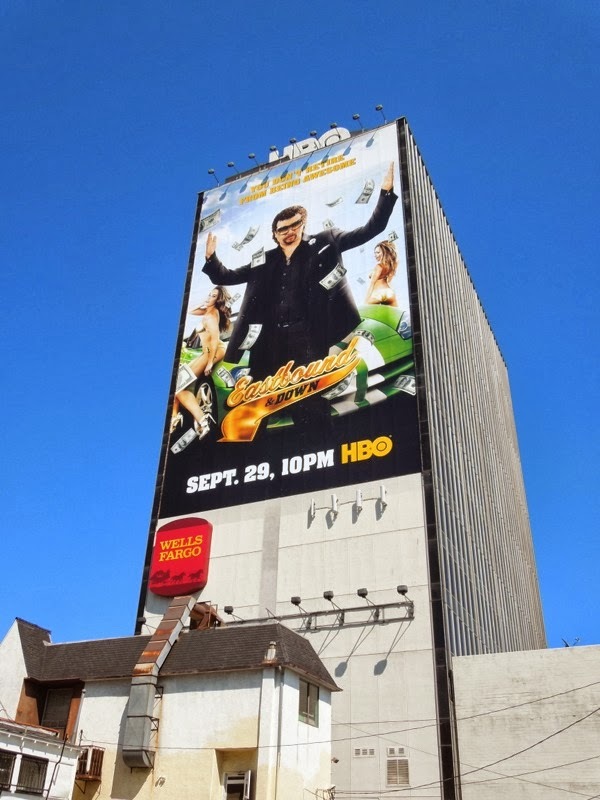 This giant new ad was snapped further east along Sunset Boulevard in West Hollywood on October 4, 2013.